Just before my merciful mentor left this world to enter Sri Radha’s eternal seva, we discussed the merits of different bhakti sadhana practices. Throughout that most wonderful and unforgettable Harikatha, he repeatedly stressed and proclaimed, with the firm conviction of a 101 years practice: “HARI NAMA WILL DO ALL THINGS! 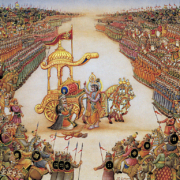 You need to chant Krishna nama and you will get everything—EVERYTHING!! !” Jai Gurudeva! With lightning speed, he then quoted the following slokas to support his conclusion, and strengthen my faith and conviction in Sri Hari Nama-sankirtana. We hope these slokas will inspire everyone, and ignite their enthusiasm to chant more and more and more. Throughout the Caitanya-caritamrta, Sri Caitanya Mahaprabhu personally teaches about the power and benefit of Sri Hari Nama-sankirtana. 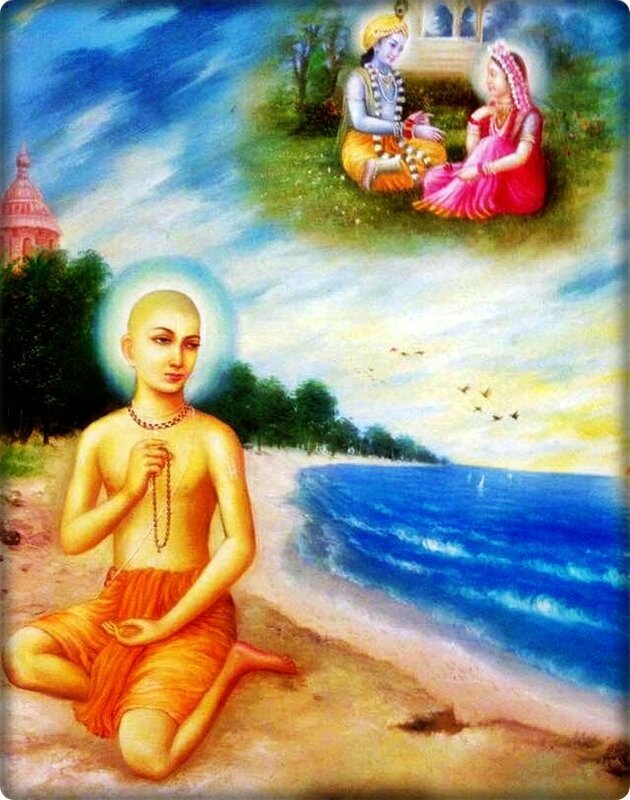 During the final days of His Puri lila, Sri Caitanyadeva plunged into the ocean of separation from His Prana-pati Vrajendranandana. Deep in the night, hidden inside the latern lit cave of the Gambhira, Mahaprabhu savored the sweet bliss of madhurya-rasa (rasa-asvadane) in the sanga of Damodara Svarupa and Ramananda. Sri Krishna nama sankirtana ki jai! Jai Jai Sri Radhe! Rejecting Guru How to Choose Guru?